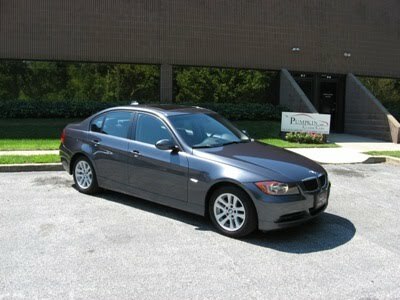 Today's Pumpkin Fine Cars and Exotics car of the day is this magnificent 2007 BMW 328i. This Metallic Graphite on Charcoal Leather beauty is just into inventory today! With only 40k miles it is still under BMW factory warranty and is loaded with options. It has the Premium Package, Cold Weather Package, Navigation system, CD player, Power Seats with Memory and Lumbar adjustment, Heated Seats, Blue Tooth, Satellite Radio, BMW Assist and the BMW iDrive display. The iDrive display is a one stop solution for managing all of the technology this car has to offer. From the main menu you can control your Entertainment options like radio, CD player and Satellite Radio and iPod input. You also control the Navigation system, which is extremely user friendly, as well as view your Communications options for your cell phone Blue Tooth to operate through the car's speaker system! The BMW factory warranty is a huge plus when purchasing a high performance luxury vehicle such as this. That factory warranty alone is worth quite a large bit of value on this car. We reviewed all of the options and luxury features of this car but the reason owner Franck Freon continues to search for and buy cars like this is no doubt the quality and performance. BMW has been world renowned for decades for superior engineering and performance. This 328i is no exception as it will perform with the best on the road. 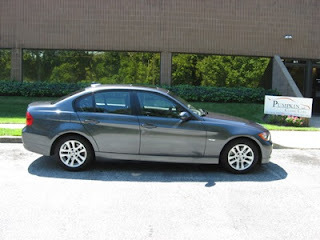 This car also has the newest 3 series body style up until the 2012 model year. With the way this one looks, no one will be able to tell whether it is a 2007 or a 2010!! The car has been test driven by Franck Freon himself and it has passed our rigorous Pumpkin Certification Process...it is ready to go right now! If you are looking for the penultimate combination of luxury and performance than you have to check this car out. Better hurry, we can already tell it won't be here for too long. Please stop in at our unique indoor showroom to take this BMW 328i or any of our Pristine Pumpkin Cars out for a free, no-hassle test drive today. While you are here feel free to browse the showroom, talk cars or car racing with Franck Freon and his friendly, professional staff. As always Pumpkin Cars can be reached over the phone at 609-646-7676 as well as via email at [email protected] . Please find Franck Freon and "Like" Pumpkin Cars on Facebook, follow Franck and PumpkinCars on Twitter, watch and subscribe to the Pumpkin Cars Channel on YouTube and if you enjoy what you have just read and would like to read more, please subscribe to our blog. As we head full speed towards the end of summer and are fast approaching Labor Day weekend, car shoppers will no doubt be inundated with crazy sales incentives and gimmicks. We see it around every holiday, but for some reason Labor Day seems to be the when some of the "big guys" pull out all the stops. Labor Day weekend is traditionally a barbeque with family and hang out at the beach or lake with family type holiday. Because there are not too many grand festivities, gift buying or any specific reasons to be shopping for anything on Labor Day weekend, dealerships have to bring out these sometimes wacky promotions in order to give consumers a reason to come out and shop. They tend to use phrases like, "guaranteed financing", "unheard of" and "this weekend only". This is because they want the consumer to feel a sense of urgency and like they are missing out on these spectacular deals if they don't buy right now. In reality they want to increase their sales numbers before the end of summer, just like most businesses in the country. That does not mean, however, that it is OK to bend the truth and make promises they cannot stand by in order to do so. Labor Day weekend is the last that the kids are off from school, in most cases, and generally consumer behavior and spending habits change with the season. There is an old adage that says if it sounds too good to be true, it probably is. Nothing at Pumpkin Fine Cars is too good to be true because we never make outlandish promises and never have wacky, over the top promotions and sales. Our methods are simple, yet tried and true. We provide high quality pre-owned cars at a fair price with outstanding customer service! We do not need to guarantee a certain dollar amount for your trade, or guarantee easy credit, or that everyone is approved regardless of credit history. The bottom line is that those promises are too good to be true and they are designed to simply get you in the door. 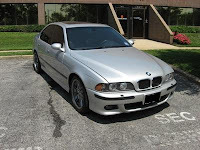 What we will guarantee is that you are treated like our best customer whether you are buying a 1999 Mercedes Benz S320 for $9,995 or a 2006 Porsche 911 Carrera 4s for $56,995. Just read what our previous customers have to say. We guarantee that you will enjoy your experience buying a Pumpkin Car and that you will get an extremely high quality pre-owned vehicle at a great value. We also guarantee that our prices are competitive, fair and 99% of the time below book value. We guarantee that the car you purchase has a perfectly clean title history, has never had an accident reported, was personally test driven by Franck Freon, was fully serviced, detailed and is ready to drive home. That is all part of our rigorous Pumpkin Certified Program. We think think it's "unheard of" that not every dealership services their pre-owned cars and cuts costs by not investing time and resources into keeping their inventory in top notch condition. There is no such thing as "this weekend only" at Pumpkin Cars, as we have been successful for years by applying the same method of doing business whether it is a weekend in August or a weekend in February. We guarantee that we will be open, up front and honest from the time you first set foot in our unique indoor showroom till the time you drive your pristine Pumpkin Fine Car out of our driveway and beyond. Those are the things we guarantee. Funny, maybe if our competition could guarantee those same things they would not have to resort to any crazy Labor Day sales and promotions to bring in customers. Although, maybe that is just "a Pumpkin thing"! Stop into our unique indoor showroom on Fire Rd in Egg Harbor Township, right next to our friends at Darrell's Auto Repair and see exactly what we guarantee by talking to Franck and his honest, professional staff and taking one or more of our phenomenal Pumpkin Cars out for a free, no hassle test drive today. As always, Pumpkin Cars can be reached over the phone at 609-646-7676 and via email at [email protected] . Please "Like" Franck Freon and Pumpkin Cars on Facebook, follow http://twitter.com/pumpkincars, watch the Pumpkin Cars Channel on YouTube and if you enjoy what you have just read, please subscribe to our blog. Here at Pumpkin Fine Cars we always like to share some car care information with our customers to ensure that they keep their Pumpkin Car in tip-top shape. The most common maintenance procedure that a car owner has to perform is most likely an oil change. We have all done it, we all have the little sticker on the windshield reminding us of the count down until oil change time! One thing that can become confusing is just how long you can go without getting the oil changed. The common and time tested amount of miles has always been 3,000. Now, however, most manufacturers recommend going every 5,000 miles and with the advent of sythetic oil, newer cars can go up to 7,500 miles between oil changes! There are some car owners that are old school and figure that a change every 3,000 could not possibly hurt the car. Along with those owners are the quick lube in and out oil change businesses that will always keep your sticker at 3,000 mile increments because why would they reccommend that you go 5,000 miles when they can get more business out of you in 3,000? Some pre-owned cars do not even come with instructions manuals so you can read and find out what the manufacturers service schedule says about oil changes. So the question becomes, who do you trust? Do you trust your mechanic, your vehicles manufacturer, the oil manufacturer, the quick lube service place or your own gut instinct? My answer is, I trust Pumpkin Cars! As part of our very detailed Pumpkin Certification process, we have each and every Pumpkin Car checked out by an ASE certified mechanic and that includes oil and other vital fluids. We do not neccessarily change the oil on every car we bring into inventory but we do check the oil on every car we bring into inventory and if it needs to be changed we change it. Simple as that. Every Pumpkin Car in stock has a service sticker on the inside windshield to let our customers know when the next oil change is due. We tend to estimate on the conservative side and usually go with 4,000 miles in order to make sure our customers don't go too long without the change. This may be a minor detail to most, but for Franck Freon, it is of the utmost importance not only to keep the cars in great shape while they are in our possesion, but also to have our customers keep them in great shape so that they can maximize the value of their purchase. The better the car is taken care of, the better it will take care of you! As it was stated earlier in this article, it will not hurt the car at all to have the oil changed, even if it is a bit more frequent than the recommended mileage. Please stop by our unique indoor showroom and check the service sticker on each and every one of our cars if you so desire! Take one or more on a free no-hassle test drive and talk cars with Franck and his friendly, knowledgable staff. We look forward to seeing you at the showroom! As always Pumpkin Cars can be contacted over the phone at 609-646-7676 and via email at [email protected] . Please "Like" Franck Freon and Pumpkin Cars on Facebook, follow Franck and PumpkinCars on Twitter, watch the Pumpkin Cars channel on YouTube and if you like what you are reading, please subscribe to our blog! 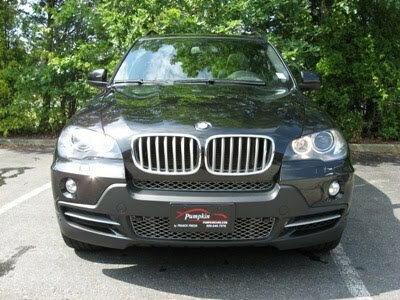 Pumpkin Fine Cars & Exotics' Car Of The Day... an IMMACULATE 2008 BMW X5, 4.8i, 4-Door SUV. This pre-owned BEAMER IS LIKE NEW and is LOADED DOWN with LUXURY FEATURES! With a V8, 4.8 liter Automatic, ALL-WHEEL DRIVE Transmission and ONLY 29k Original CERTIFIED MILES...it will give you PLENTY OF POWER & TORQUE while still maintaining it's SAFETY & COMFORT! This BAD-BOY is a ONE-OWNER with a FLAWLESS TITLE HISTORY! It has been FULLY SERVICED, PUMPKIN CERTIFIED and comes COMPLETE WITH A FULL FACTORY WARRANTY until January 2012 or 50k miles, whichever comes first. Franck Freon, owner of Pumpkin Fine Cars and 18+ Year Veteran Race Car Driver, uses his extensive knowledge in choosing & inspecting every vehicle in the Pumpkin inventory and guarantees that they are all quality vehicles that he would own himself. Each vehicle is put to the test and inspected through and through... giving you the peace of mind in knowing that you are driving away in the best vehicle your money can buy! If you don't believe it...then YOU NEED TO COME SEE IT! This Black on Black Beast comes with a PREMIUM PACKAGE, A SPORT PACKAGE & A COLD WEATHER PACKAGE which includes 19" Sport Alloy Wheels, a PREMIUM HI-FI DSP SOUND SYSTEM and a 6-DISC CD CHANGER. Power/HEATED & VENTILATED SEATS and a HEATED STEERING WHEEL, along with a NAVIGATION SYSTEM, LEATHER Interior, Panoramic MOON ROOF, BMW Assist w/ BLUETOOTH, REAR-VIEW CAMERA, "Heads Up Display", Parktronic Sensors and XENON Headlights are some of the MANY OPTIONS this vehicles has to offer. To Experience a Pumpkin Car first-hand, stop on by our INDOOR SHOWROOM, located in Egg Harbor Twp, just outside of Atlantic City and take this BMW X5 for a FREE, NO-HASSLE test drive! CONTACT US anytime at (609)646-7676 or email us at [email protected] for more information. To view a complete listing of our pre-owned vehicles currently in-stock, click here or log onto our website at http://www.pumpkincars.com/ Before you waste your time visiting the rest, STOP BY THE BEST! Visit Pumpkin Fine Cars & Exotics and drive home a BEAUTIFUL, RELIABLE & AFFORDABLE Pumpkin Car today! At Pumpkin Fine Cars and Exotics we are always immersed in researching current industry trends to keep our business at the fore front, and keep our customers informed and educated. Recently we came across an article from Edmund's.com that states that pre-owned car prices have risen 10% over the same time last year. There are a couple of different market factors that have contributed to this rise in prices. The main reason this is happening is because of the current economic climate. With uncertainty still clouding the economy, the new car market is just starting to rebound. 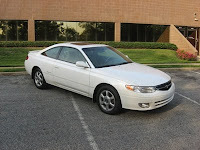 Many car buyers have been searching for pre-owned cars that are lower priced and that is raising demand for these cars. The simple economic principle of supply and demand dictates that when demand increases, supply decreases. In the pre-owned car industry the supply is contingent upon the demand for new cars. Simply stated, if less people are buying new cars, less people are trading or selling their current cars which leads to less cars available in the pre-owned market place. So, as you can see with more consumers shopping for pre-owned cars and less pre-owned cars available, that will generally lead to an increase not only in price for the consumer, but also in cost for the dealerships. We have seen it first hand here at Pumpkin and have done our best to keep a steady supply of inexpensive, yet extremely high quality cars to fill this gap in the market. Owner Franck Freon has found a niche in the buying process where we have been able to secure quite a few older model cars that have good miles and are in great shape both cosmetically and mechanically. We still, of course, have our wide selection of luxury sedans and SUV's from Mercedes Benz, BMW and Acura that are Pumpkin's "bread and butter". We are also finding cars from some of those same brands that we are able to retail from under $12k or so and keep our prices down generally for our customers. Now that we are trying to fill this void in the market one thing we will not compromise on is our extremely detailed Pumpkin Certification Process. All of our Pumpkin Cars go through the same process and get the same treatment. It does not matter if it is a 1999 Toyota Solara priced at $7,995 or a 2006 BMW 325i priced at $19,995. Every car is still test driven by Franck Freon and every car gets anything it needs put into it before it is ready for sale whether it is service related, cosmetic touch-ups or detailing. This is what sets Pumpkin Fine Cars head and shoulders above our competition. We treat each car as if it were a $46,000 2008 BMW X5 and want our customers to be able to drive away with a high quality Pumpkin Car regardless of the price. You can see any of the cars mentioned in this blog here at our unique indoor showroom in Egg Harbor Township just off of Fire Road. Stop in and chat with Franck and shop for your dream car in a relaxed family friendly atmosphere. Let one of our courteous, knowledgeable staff members send you out on a free, no hassle test drive. As always Pumpkin Cars can be reached over the phone at 609-646-7676 and via email at [email protected] . Franck Freon and Pumpkin Fine Cars can be found on Facebook, you can follow http://twitter.com/pumpkincars, you can watch videos and subscribe to the Pumpkin Cars Channel on YouTube and if you enjoyed what you have just read, feel free to subscribe to our blog. 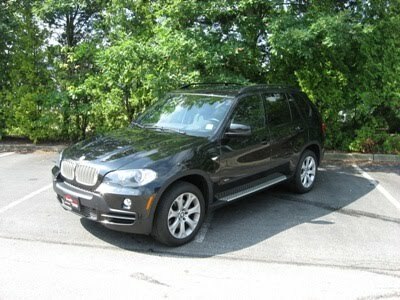 Pumpkin Fine Cars....Car of the Day is this Black on Black Beast 2008 BMW X5 4.8i with a V8 engine. This phenomenal machine just arrived into inventory today, but we could not wait to blog about it! It's that awesome! OK, here is the "run-down"...It has only 29K miles and is under Factory Warranty until January of 2012 or 50k miles. This SUV literally has everything under the sun as far as options go. 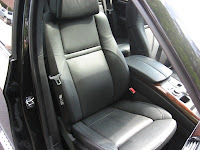 We have the Premium Package with the Panoramic Moon Roof, the Cold Weather Package with the Heated Steering Wheel, Sport Package with the 19" wheels, Premium Sound Package with the Hi Fidelity Digital Sound Processing, The Tech Package with Parktronic Distance Control and BMW Assist with Blue Tooth. 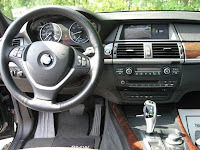 It also comes with the BMW iDrive Computer that controls your Entertainment options such as Radio, Satellite Radio, MP3 and CD player. It also controls your Navigation options, your Climate Control, and Communications which is your cell phone blue tooth and BMW assist. It is all displayed on an LCD screen built into the dash and is activated and controlled by one dial that serves as a mouse. It has the Heads Up Display where you can view your speedometer on the Windshield, Xenon Headlights and Running Boards. Just the seats alone are ridiculous with options. They are Heated, Ventilated, Memory and Multi Contour which is Power seats on steroids with 20 way positioning. The car has already been test driven by Franck Freon and is currently progressing through our Pumpkin Certification Process, which based on the condition this car is in will be no problem at all! As always the car has never had an accident reported or any frame damage. The Car Fax report is clean as a whistle and is available for any customer to take a look at. The next step is having it looked over by our ASE certified mechanic and fully detailed by our All Star detailer Hector LaPorte. 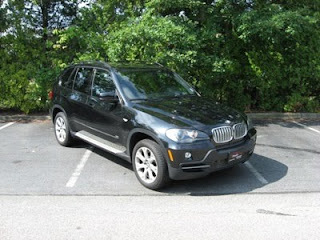 If you are in the market for a luxury SUV, than this baby is it! It has all the performance that BMW is world renowned for and enough luxury options and upgrades to be ridding in style. This car is priced way below book value at $46,995. It is the definition of a "must see". Please swing by our unique indoor showroom and check out this sweet SUV, take it for a free no-hassle test drive or just talk cars and racing with Franck and his professional, knowledgeable staff. Check Pumpkin and Franck Freon out on Facebook and "Like" us, follow PumpkinCars and Franck on Twitter, watch and subscribe to the Pumpkin Cars Channel on YouTube and if you like what you are reading, please subscribe to our blog. Today's Pumpkin Fine Cars....Car of The Day. 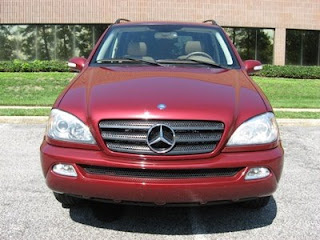 Check out this sleek and stylish 2003 Mercedes Benz E320. This car is low low miles and loaded with options and upgrades. With only 39k miles it is Pristine and in almost new condition. It is a extremely rare color combination of Midnight Blue and Light Gray Leather interior. This is a car that catches attention but you will not see another E Class Mercedes on the road with these colors. Let's take a look at the features and options that come with this beauty. It has the Premium Package, Xenon Headlights, Parktronic Sensors, In Dash CD Player, Alloy Wheels, Power/Heated Seats with Memory Positioning, Auto Dim Rear View Mirrors, Moon Roof and Power everything! Fully loaded is most definitely an understatement. This car is priced very reasonably at $18,995 and has the newest Mercedes Benz E-Class body style up until the 2009 model year. Brand new, this is a $45 to $50k car! The way this car presents, you will have no problem mistaking it for a 2008 model. 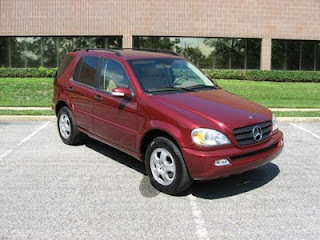 This car has the 6 cylinder 3.2 Liter engine that Mercedes Benz has been using since 1998 and continues to use to this day in any of their 6 cylinder models. This gives you the smooth, comfortable ride that you have come to expect from a Mercedes Benz, but enough power that if you need it to, it will go...and fast! This is such a unique car, the lucky person that ends up owning it will have almost one of a kind. It has been test driven by Franck Freon, he has made his notes and recommendations and it has passed through our extremely rigid Pumpkin Certification Program. As always, it has never had an accident, and it has an immaculate title history! This car has been fully serviced, detailed and does not need a thing. Someone reading this will have to come by and give this great car at a great value a great home! Stop by our unique indoor showroom, right off of Fire Road in Egg Harbor Twp. and see why you should buy this Pumpkin Car. Say Hi to Franck and his courteous, knowledgeable staff and take this Pristine Pumpkin Car on a free, no-hassle test drive today. One drive is all it will take and you will be hooked! As always, we can be reached over the phone at 609-646-7676 and via email at [email protected] . Please "Like" Franck Freon and Pumpkin Cars on Facebook, follow Franck and PumpkinCars on Twitter, check out the Pumpkin Cars Channel on YouTube, and if you like what you are reading, please subscribe to our blog. We are most certainly in the midst of the instantaneous information age. Immediate gratification rules the day. There is hardly anything in the consumer marketplace that cannot be accessed through Google, Bing, Yahoo and yes, there probably is an "App for that" too! Part of what makes Pumpkin Fine Cars so successful and such a better car buying experience than most dealers is that we are up front and honest about our inventory. Let's face it, we have nothing to hide! We know that by giving our customers as much information as possible and as early in the sales process as possible it takes the burden off of you to do your own research. Although most of our customers are certainly capable of finding their way on the web, we prefer to have all of the information about one of our pristine Pumpkin Cars at hand, ready to give to the customer. One of the most useful pieces of information that we have available for every car that has passed through our unique indoor showroom is a vehicle history report. As a matter of fact when owner and retired professionl race car driver Franck Freon and Joe are out buying the first thing they do is call the showroom and have one of us run the history report for them. One hundred percent of the time if the car has had title history issues or has had an accident reported the buying process for that car ends immediately. Those are two items on which we will not compromise, ever. That is also actually step one of our Pumpkin Certification Process. We also see when and where the car was originally delivered and titled, which also helps us determine if that particular car is indeed a Pumpkin Car. Once we verify that the car has a spotless history report and we purchase it, that history report gets printed and placed in the file folder for that vehicle. When a customer comes in or calls us to ask about or see a particular car, most of the time we hand them the history report before they even sit in the car. This allows our customers to see how many owners the car has had and to know just about everything that we know about the car before the process moves ahead. If the customer wants a copy of the report to take with them, we are more than happy to accommodate them. We realize that this is extremely valuable information to aide in the decision making process for any customer. We also realize that different customers have different needs and details that they look for or avoid in a car. Handing our customers the vehicle history report right up front shows them that we have nothing to hide and are confident in the quality and the presentation of every Pumpkin Car. It also makes their search for a new car a little less hectic, less time consuming and just plain more enjoyable. If you would like to stop in and see a Vehicle History report for any car you are interested in purchasing from Pumpkin, it would be our pleasure! Please stop in at our unique indoor showroom, just off of Fire Road in Egg Harbor Township and only minutes from the Atlantic City Expressway and Garden State Parkway. Feel free to check out the history report and take one or more of our outstanding pre-owned vehicles for a free, no-hassle test drive. We do appreciate the opportunity to earn your business. As always we are available over the phone at 609-646-7676 and via email at [email protected] . Please "Like" Franck Freon and Pumpkin Cars on Facebook, follow Franck and PumpkinCars on Twitter, check out the Pumpkin Cars Channel on YouTube and if you enjoyed what you are reading, please subscribe to our blog. It is a One Owner vehicle and as with every Pumpkin Fine Car has a completely immaculate title history and has never had an accident reported. It has Power/Heated Seats with memory positions, Alloy wheels, a Roof Rack, Privacy Glass Windows and power everything! This SUV also comes with an On Board computer to show you your fuel mileage, compass and temperature. It really is the perfect combination of Mercedes luxury and SUV practicality. This car was purchased and test driven personally by owner Franck Freon and he loves it so much he had a hard time putting it up for sale! Once the car arrived at our unique indoor showroom we immediately had it fully detailed, then it is off to Darrell's Auto Repair for service. At Darrell's the car underwent a full check-up including brakes, tires, oil, transmission, fluids and differential. This ML320 got a clean bill of health and now is ready to hit the road. If the car needed anything done at all, we make sure it gets done, fixed or replaced. We then have our jack of all trades, the Man From M.A.R.S. (Mobile Auto Repair Service) John Stratton touch up and fix minor paint issues and make any minor cosmetic repairs that are required. All of the steps listed above are 100% uncompromised as part of the Pumpkin Certification Process. We do it so that when you, our valued customer, buys a Pumpkin Car, it needs nothing but to be driven off the lot! This is the case with every car we bring into inventory and that is what makes us so much better than the rest. We invest the time and money into our inventory to keep them all top notch and make them the best looking and performing pre-owned cars on the road. We cannot help it, with Franck's experience as a professional race car driver for 18 years, he has an uncanny ability to feel what is right and what is wrong with any given car we buy. Because of that we produce the best product and the best customer service possible and that is also uncompromised on any Pumpkin Car! Please swing by our unique indoor showroom just off of Fire Road in Egg Harbor Township, feel free to check out the Mercedes Benz ML320 and any other of our great cars in inventory. Say Hi to Franck and his friendly, knowlegdeable staff before you go out on a free no-hassle test drive. As always, we can be reached over the phone at 609-646-7676 and via email at [email protected] . Please "Like" Franck Freon and Pumpkin Cars on Facebook, follow Franck and PumpkinCars on Twitter, check out the Pumpkin Cars Channel on YouTube and if you like what you are reading, please subscribe to our blog. Here at Pumpkin Fine Cars and Exotics, owner Franck Freon's passion for cars is second to none. It does not matter whether it is an 1999 Mercedes S320 for $9,995 or a 1985 Ferrari Testarossa for $59,995, Franck test drives and cares for each vehicle as if they were all rare or exotic collectors cars. That is why we are the best at what we do, plain and simple. That being said, right now Pumpkin has quite the collection of these rare and exotic cars. For car collectors and car lovers in general, a trip to Pumpkin these days will have you licking your chops and your eyes will light up like a child on Christmas morning! We always make an effort to keep a couple of these cars in stock but right now we are loaded!! Here is the "rundown". We will start with the oldest and most classic of the collectors cars, a 1973 BMW 3.0cs. This gem is a light blue color and is a Classic California Car with 90k miles, priced right at $20,000. It has only had two owners, we have full service records and it comes with working Power Windows, Steering and Sun Roof. It is truly one of a kind. Driving it will make you feel like James Bond himself (we all know I mean Sean Connery as Bond, right?)! Next is the car that most males males from around the world grow up idolizing and fantasizing about. 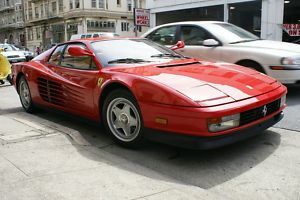 Check out this 1985 Ferrari Testarossa, "Fire Engine Red" with Tan Leather interior is THE car for car lovers. It has only 12k miles and is at the reasonable price $59,995. It is the very first year of the Testarossa Model and the only year with the distinctive "High Positioning" on the side view mirrors and Knock Off Wheels. This is one that you have to see for yourself! We move back to the German cars next with a pristine 1986 BMW 635csi. This car was definitely showroom kept and is a favorite of Franck to take out on a test drive. It is a Black on Black beauty with full Power options that make it a collectors special! With only 33k original miles it has been preserved and pampered to the fullest. Come on in with $19,995 and it is all yours! We stick with the BMW brand and present this 1997 BMW 850ci. This "beast" of a car is Black on Black and comes with a monster V12 engine! 1997 was the last year that BMW produced this body style and this one is sweet! It has all the power options you would expect from a BMW like windows, seats, mirrors and steering. 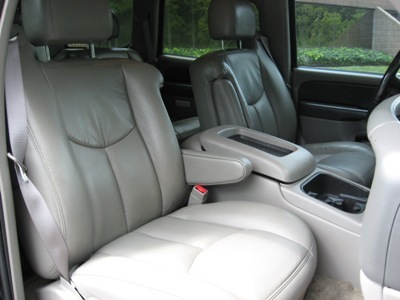 A 6 disc CD Changer and immaculate leather interior. With only 71k miles it is priced to move at $29,995 and is waiting for an owner that will treat it right! 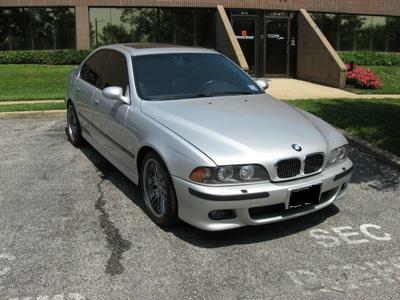 Another BMW in a little bit of a different class is a 2002 M5 with only 50k miles. This 6 speed manual is the definition of a "driver's car". Not only does it perform like none other with 400 Horse Power, it is loaded to the gills with options. 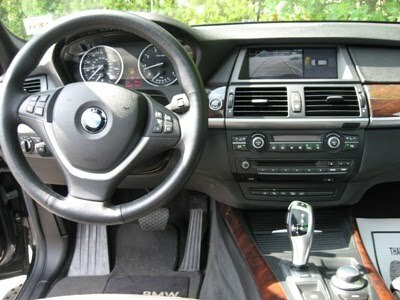 It has Navigation, Xenon Headlights, Power/Heated Seats, Window Tints and the World Famous M Sound System. What was a $75,000 car brand new is now only $22,995, this car will not be here for long. This is definitely very special car! Finally we round out the rare and exotic cars currently in our inventory with a nearly brand new 2006 Porsche 911 Carrera 4s. This car has barely touched the road with only 16k miles and has been serviced like clock work by Porsche. It is a sharp Metallic Seal Gray with a custom "Lipstick" Red leather interior. It comes with the Sport Chrono Package, Power/heated seats, Bose Premium Sound system with MP3 hook-up, 19" Premium Sport Wheels and Bi-Xenon Headlights. This car is in mint condition and is priced at $57,995. The original window sticker price for this car is $91,000...and now it can be yours in like new condition for a little more than half the price! All of these cars have been fully serviced and passed through our rigorous Pumpkin Certification Program. Franck Freon and his friendly, knowledgeable staff are ready to put you out in a free, no hassle test drive. Just stop in at our unique indoor showroom to pick the car that is right for you! Pumpkin Fine Cars is available over the phone at 609-646-7676 and via email at [email protected] . Please "Like" Franck Freon and Pumpkin Cars on Facebook, follow Franck and PumpkinCars on Twitter, subscribe to the Pumpkin Cars Channel on YouTube and if you enjoy what you are reading, please subscribe to our blog! Pumpkin Fine Cars & Exotics' Car Of The Day... a 2003 Chevrolet Tahoe, 4-Door SUV. 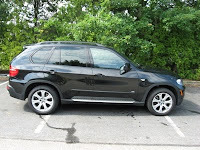 This pre-owned SUV is in GREAT SHAPE and HAS TONS OF FEATURES! 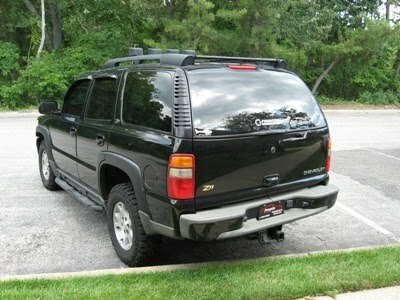 If your a Truck Lover and you want a RELIABLE SUV for UNDER $10k...then this BAD BOY may be just the vehicle for you! 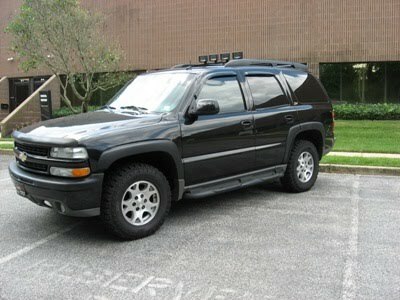 With a V8, 5.3 liter, AWD/4X4 Heavy Duty Engine and Automatic Transmission, this Tahoe will get you around in any town! CLEAN & WELL MAINTAINED it has the New Custom "FIERCE ATTITUDE LT265/70R17" Tires and THIRD ROW SEATING!!! This vehicle has been serviced and Pumpkin Certified and is ready for a new home! This MONSTER Chevy Tahoe is a MIDNIGHT BLACK Exterior on TAN LEATHER INTERIOR and comes FULLY LOADED with ONSTAR, Running Boards, Roof Lights & Roof Rack, Privacy Glass Windows, Power/HEATED SEATS with MEMORY Positioning and SO MUCH MORE! As always a SPOTLESS TITLE History too! We have FINANCING AVAILABLE with COMPETITIVE RATES and CUSTOM WARRANTY plans too! Visit us online at http://www.pumpkincars.com/ for more information or CONTACT US at (609)646-7676 to schedule that much anticipated test drive! At Pumpkin, we handle every customer WITH CLASS in a NO-HASSLE, FAMILY-FRIENDLY ATMOSPHERE! Stop by our Unique, INDOOR SHOWROOM and see for yourself what everyone is talking about! Email us at [email protected] for more information on this vehicle or other pre-owned vehicles currently in-stock! Thanks for visiting our blog....We Look Forward To Seeing You Soon!!! Pumpkin Fine Cars and Exotics is making a concerted effort to expand our current inventory. The primary reason we are doing this is because demand for the types of high quality pre-owned vehicles that can truly only be found at Pumpkin and called, "Pumpkin Cars" is getting higher and higher. For you, our good friends and valued customers, this means a wider selection a great cars. From all the feedback we have been getting, which good or bad we take to heart, we have found that the number one request was more to choose from. We have listened and we are responding. In the past few months we average about 30 cars in inventory at any given time, from here on out we are looking to keep a steady average of 40 cars. We realize that this means more work for us in keeping up and preparing the cars to the high standards that we have set for what constitutes a "Pumpkin Car" and the high standards which you our customers have come to expect. Fear not, we are up to the challenge!! How are we going to increase our inventory by an average of 10 cars you may be wondering. Well we are extremely happy to report that Franck Freon himself is back out on the road buying on a weekly basis and along with Joe Capocci this buying team is in top form. For those of you who were unaware, Franck had major knee surgery a few months back and was training and coaching Joe through the buying process over the phone and online. Joe was definitely the beneficiary here because he has honed his buying skills to make sure that every car we purchase is top notch. Now that Franck is recovered, he is back out doing what he loves, finding pristine Pumpkin Cars for our loyal customers and friends. This dynamic duo is now able to increase the amount of cars we buy at any given time and that is how we will keep and maintain our increased inventory. They even compete with each other to see who can find the best of the best for our customers! The only problem we may have is selling the cars faster than we can buy them, and that is a problem that we are more than happy to deal with!! One thing that will not happen is compromising our standards of quality and service. Franck and his staff are working hard to make sure that nothing slips through the cracks and we pay more attention to detail than ever. Each car we buy will still be test driven and evaluated by Franck Freon himself and all will still go through our extremely rigorous Pumpkin Certification program. All of us here at Team Pumpkin will still go through every car, each day with a fine tooth comb to make sure they are all in tip-top shape and ready to be put on the road as your dream car!! Also, the sales and marketing team will be ramping up our efforts to spread the word about Pumpkin Cars and let more people know what our existing customer already know. That is that there is no better pre-owned car available than a Pumpkin Car. We choose each car that we have in stock and all of our inventory are cars that are here for a reason, because we want our customers be to able to select from the best available pre-owned cars in South Jersey and beyond. We invite anyone who has never visited our unique indoor showroom to come by and see that not only do we talk the talk but we also walk the walk. You will have a car buying experience like no other...relaxed and pleasant. Our staff is extremely knowledgeable and will be able to answer any questions you may have. Feel free to come and just browse the showroom, say Hi to Franck and the gang or take one or more of our Pristine Pumpkin Cars out for a no hassle test drive. We look forward to seeing you here and becoming part of the Pumpkin Cars Family. As always we are available over the phone at 609-646-7676 and via email at [email protected] . Please find us and "Like" Franck Freon and Pumpkin Cars on Facebook, follow Franck and PumpkinCars on Twitter, subscribe to the Pumpkin Cars Channel on YouTube and if you enjoy what you are reading please subscribe to our blog!